Please Note: The Vivotek FE8391-V is no longer manufactured. 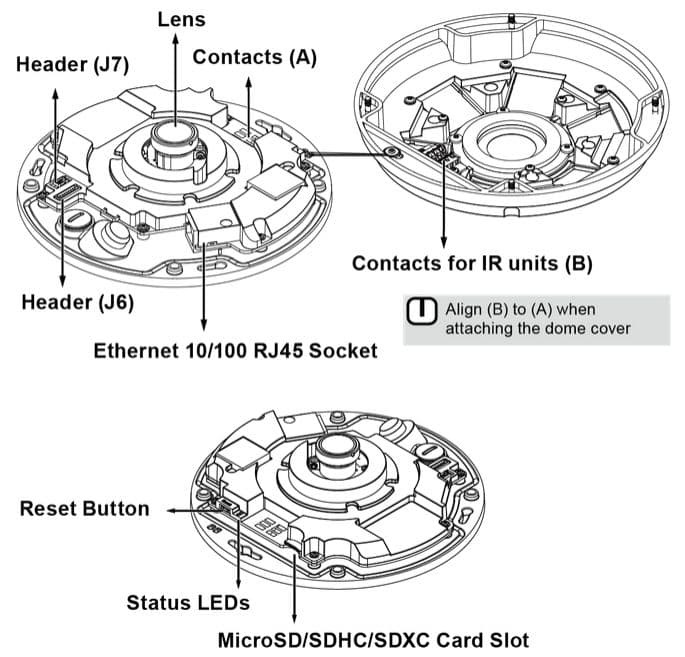 Please refer to the Vivotek IP Fisheye camera for a replacement. The Vivotek FE8391-V Outdoor Fisheye 360 degree Dome IP Camera features a ultra HD surveillance video recording resolution of 2944 x 2944 at 12 frames per second. The Vivotek FE8391-V includes a 1.5mm wide angle lens and a 1/2.3" Progressive Scan CMOS image sensor for superior image quality. This camera can be mounted outdoors and features a IP66 / IK10 rated weatherproof enclosure to protect the vital components from harsh weather, dust, humidity and acts of vandalism. This camera is capable of displaying two 180° panoramic images or one 360° image with virtually no blind spots. This is perfect for covering wide open areas such as airports, malls, office buildings and banks. In addition to panoramic and 360° viewing modes, the FE8391-V can display in several other video modes including a quadrant view that replicates the capabilities of 4 individual cameras. For low light environments the FE8391-V features a Color lux rating of 0.75 and a Black & White lux rating of 0.01 without the use of infrared LEDs. When needed, the infrared LEDs activate and have an effective range of up to 10 meters / 30 feet. The Removable IR Cut Filter enhances the low light image quality by blocking the unusable lighting and only allowing the visible light to pass through. 3D Digital Noise Reduction removes the noise (graininess) from the image to enhance the clarity, this is especially useful in black & white mode. The WDR Enhancement feature further enhances the image quality in environments with challenging lighting conditions, such as ultra bright or dark back lighting. It enhances the picture quality by combining the brightest part of the image with the darkest part to create an image clarity close to that of the human eye. A Built-in Microphone allows for audio recording and has an effective range of 5 meters / 15 feet. The Vivotek FE8391-V can be powered by either 12V-DC or POE 802.3AT, allowing both video and power to be run over one Cat-5E cable. A Built-in Micro SD / SDHC / SDXC Card Slot allows the user to record video clips and snapshots locally. Like all Vivotek cameras, the FE8391-V includes a central management software to record, manage and view the camera on a Windows PC.